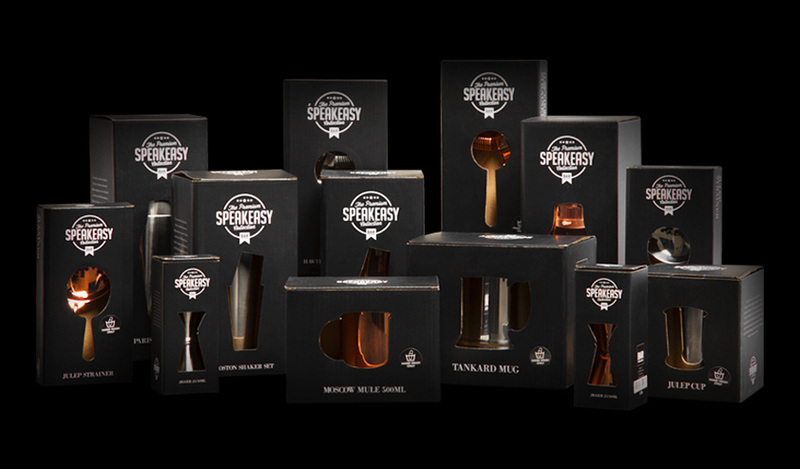 Barprofessional presents a range of high-quality tools with the title ‘The Premium Speakeasy Collection’, a reference to the illegal bars from the 1920s. The Speakers Premium Collection consists of superior materials combined with timeless design and functionality. Designed for the professional and demanding bartender who understands his job. It takes essential bar tools to make the best mixed drinks and cocktails. 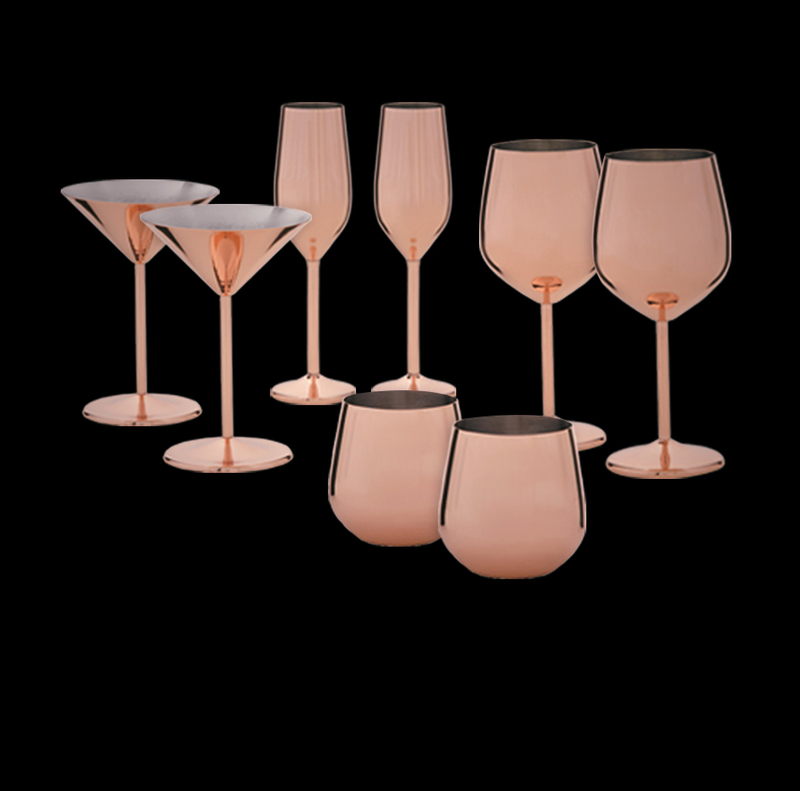 The Copper Glass Collection comes with 4 sets all made of copper plated stainless steel. These are all elegant, high quality and reliable products. Tess Posthumus is a bartender who has won many awards and prizes. She fell in love with the magical world of cocktails. Now she has her own set of exclusive bar tools, executed in the color black to share this world with you. The Collection by Tess helps you discover new flavors, improve and refine old recipes and inspires you. Over the years we have developed a wide range of renowned products and brands for use in the hospitality industry in general and bars and restaurants in particular. Our customer base includes catering wholesalers, the drinks industry and the wine trade. Tess Posthumus is an award-winning bartender who fell in love with the magical world of cocktails. She created her own set of exclusive black in order to share this world with you. The Collection bar tools will help you discover new flavours, revisit the old ones, and get inspired at thecollectionbartools.com. The rediscovery of the craft cocktail is in full swing. 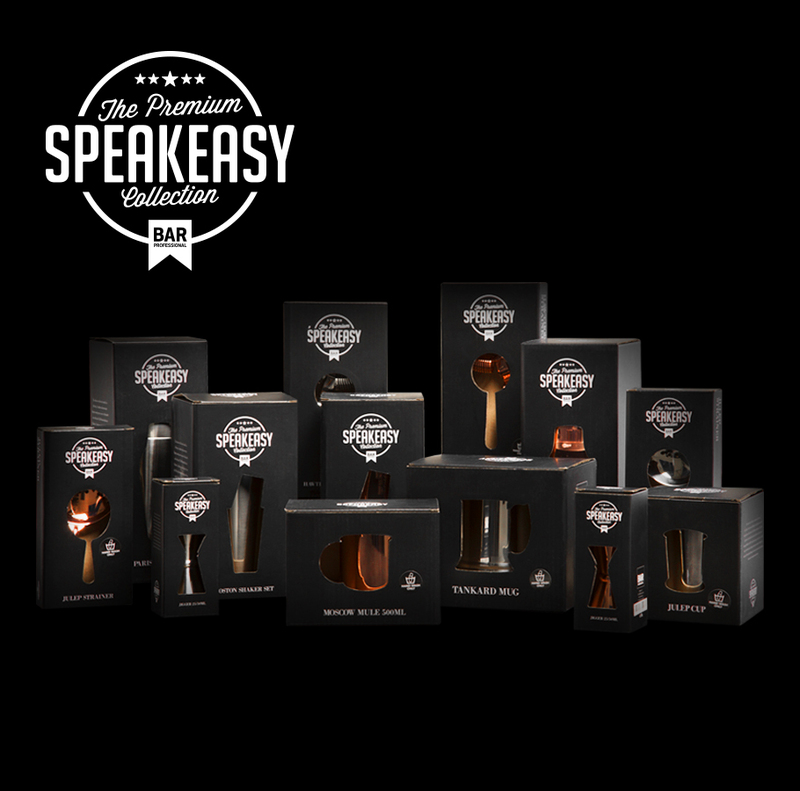 As a tribute to this movement Barprofessional presents a series of high-quality tools with the title ‘The Premium Speakeasy Collection’. A reference to the illegal bars from the 1920s of the 20th century during prohibition in the US, and the emergence of the classic cocktail recipes from that period. Superior materials combined with timeless design and functionality. Designed for the professional and demanding bartender who understands his trade. 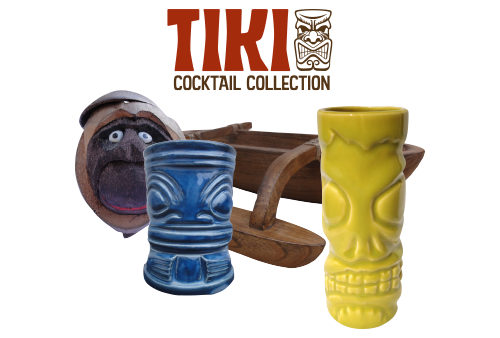 A series of Tiki items for the professional bartender. Tiki mugs are fastbecoming a must have for any bar serving cocktails. What better way to present your tropical drink. Whilst slightly more expensive than most glassware, the advantage of ceramic mugs are strength, thermal characteristics and the visual impact that will lead to increased sales. 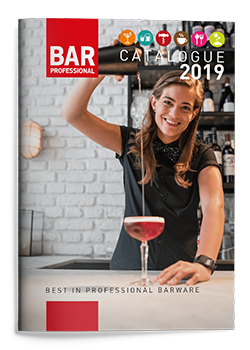 The latest news from Barprofessional? Want to be the first to receive the latest news from Barprofessional? Then subscribe to our newsletter. We will send you our latest new products, innovative trends and developments and other information for the professional bartender. Subscribe now using the form and we will keep you informed.